Indian summer months are the worst to deal with due to the constant heat and high exposure to UVA/UVB rays. 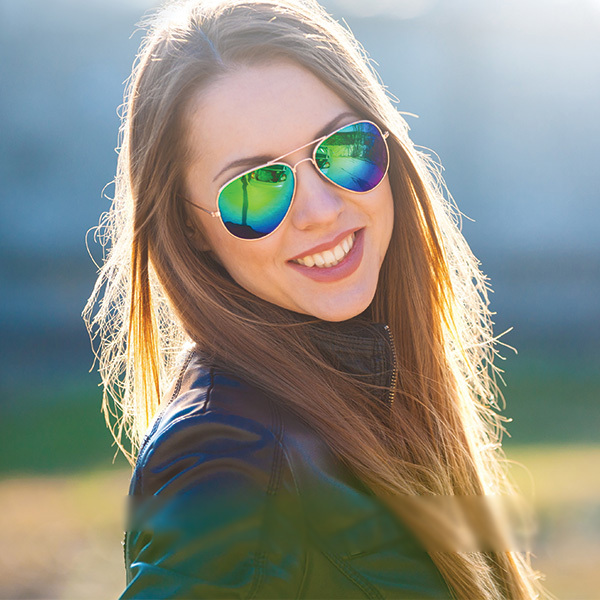 This is when we often find ourselves thinking about getting the right prescription sunglasses to protect our eyes against the harmful rays of the sun with added advantage of vision correction. Purchasing Prescription Sunglasses for Women and men in India is very easy and you can shop for them from the comfort and luxury of your home. People are starting to prefer shopping online than visiting a retain outlet. CoolWinks.com optical experts are ready to offer your assistance and purchasing advice you need when it comes to making the right decision towards protecting your eyes. Their customer support agents are basically optical experts and they are trained to help you choose the correct lenses so you may see safely in the sun. With CoolWinks.com you can safely and securely purchase your prescription sunglasses online. Prescription sunglasses price is quite reasonable and most prescription sunglasses are affordable for everybody. l Select frame which is lightweight and sturdy. l It’s important that the frames match your facial shape and structure. l Lens must be of good quality and offer clear vision despite the tint. l Acetate frames are hypoallergenic and suitable for anyone with sensitive skin. l Incorrect lenses can cause significant strain so purchase after due consideration. When looking for good quality prescription sunglasses it’s important to consider the brands that sell them wisely. There are several companies that make excellent frames that can be worn by you anywhere. Some of them match well with your face and most with your outfit also. Lenses protect your eyes from damage from UV rays so it’s important to purchase from brands that are leaders in the industry. Essilor and Zeiss are two of the biggest names in the industry known for producing high quality spectacle lenses. l You can opt for tinted lenses with polarization or go with a photochromic lens that changes the tint automatically. l They are known as transition lenses available for prescription sunglasses which go dark when you are outside and go light when you are back indoors. l Wear them on a hot day out on the beach. l Perfect when you want to cool off in the waters. l Won’t cause any eye infection unlike contact lenses. l Excellent when driving your car or motorcycle. l Perfect for protecting your eyes against UVA rays. l They are reasonably priced and quite affordable. l They look like normal eyeglasses but offer vision correction and sun protection. Some people prefer wraparound styles which offer great protection but sometimes they don’t offer the best vision correction as the wraparound style can lead to some distortion towards the edges. When you purchase prescription sunglasses online take care to carefully select your lenses based on your needs and not based on the outfit you are wearing. Having an excellent pair of prescription sunglasses in your collection is a must today.